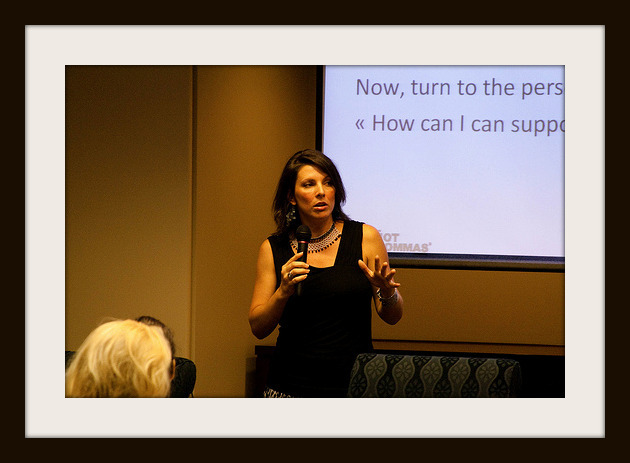 Today I keynoted the fabulous Women Grow Business ( @wgbiz ) first ever bootcamp. The title of my presentation was: The New Sisterhood of Success which was the amalgamation of some observations I’ve made over 20 years in business and women’s leadership. Then, I combined those observations with research from the field. In that room, I witnessed – right along with the attendees – the pieces of the puzzle coming together. Women Grow Business is a special group. Some are solopreneurs, some have big businesses, all are driven, with their eye on the prize, a great brain in their head, and a great heart in their…uh…chest cavity?…and want to make an impact. There is potential for immediate scale of message, as many of the women are immersed in social media. Combine this with their business skills and you’ve got the ultimate room full of electric energy. New Sisterhood exercise. Photo by Shashi Bellamkonda. I started the day excited, but unsure – as I am before every talk I give. I ended the day thinking, “These are women who could change the world, and probably will.” Let this be a lesson to all women out there about how a couple of hours, and a room full of the right people, can change your day, your week, your year, and beyond. Thanks to Shonali Burke, Shashi Bellamkonda, and Jill Foster for their leadership with Women Grow Business, a group that not only is well meaning…it is high achieving, ranking on a top ForbesWoman list of business blogs for women. 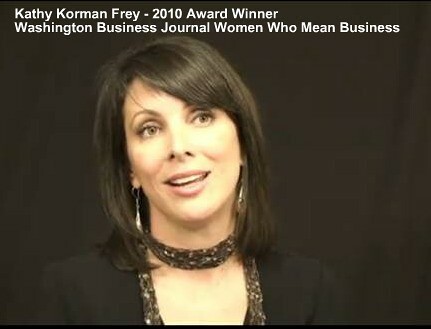 See the presentation by Kathy Korman Frey here. 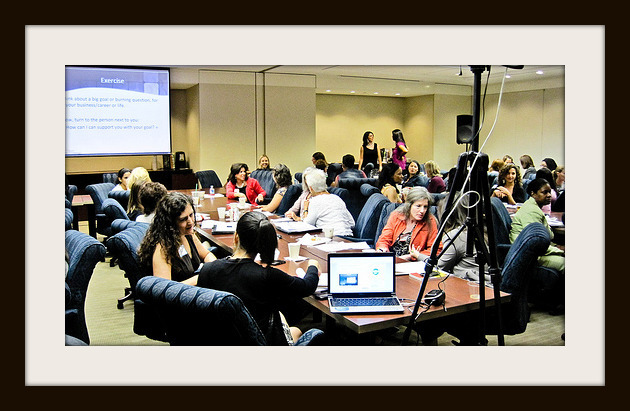 Register for a Sisterhood of Success workshop here. Shashi’s Flikr Roll from the WGB event here. How it works: Nominated women come online, write their story using our “case wizard,” and click “publish” to be permanently archived in our case library. Winners will be published in a leading Prentice Hall textbook in addition to other honors and prizes. To participate, nominate a dynamic woman 18 or older (yourself included) here or find us on Twitter. No, you do not need to be a mom. To inquire about sponsorship, email us. Here is our 2010 press release. This is truly inspirational – so many women have the tools they just need to believe in themselves, not become paralyzed or stuck (it’s sometimes easier to do nothing then take risk of failing) and leverage off of other women who are often more than willing to help! This is truly inspirational – so many women have the tools, they just need to believe in themselves, not become paralyzed or stuck (it’s sometimes easier to do nothing then take risk of failing) and leverage off of other women who are often more than willing to help!